A Seven Member Panel of Supreme Court Justices led by Justice Ibrahim Tanko has fixed January 27th 2017 to rule on the motion of Joinder filed by the Governorship Candidate of the All Progressive Grand Allaince in the Governorship election in Abia State Dr Alex Otti on the Appeal Filed by President of Masters Energy Dr Uche Ogah. Dr Alex Otti in his Motion is seeking to invoke Section 141 of the Electoral Act, especially where it contradicts the consequential orders made by Justice Okon Abang of the Federal High Court, which earlier disqualified the PDP candidate in the election, Dr Okezie Ikpeazu. The Court of Appeal had in August 5 2016 In a unanimous‎ judgment delivered by Justice Abubakar Yahaya, held that the two applicants KOWA Party’s governorship candidate , Dan Onyeonagu and APGA Governorship candidate Dr Alex Otti failed to establish their interest in the issue which constituted an internal affair of the Peoples Democratic Party. The appellate court further held that allowing the applicants to join the dispute would amount to attempting to change the nature of the suit from an intra-party to an inter-party which was not an issue before the court. “In totality, the applicants did not establish any legal rights to be joined as parties in the dispute and as such, they have no locus standi to dabble into PDP affairs,” it said. “In short, they are meddlesome interlopers and their appeals lacked merit and are hereby dismissed with cost of N50,000 to each of the three respondents.” the Court of Appeal declared in August. 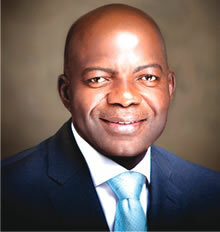 Dissatisfied with the decision of the Court Of Appeal,Dr Alex Otti filed Appealed the ruling at the Supreme Court.